When I began quilting erm……. many years ago, Libby Lehman was one of my heroes. I loved her ribbon quilts and even went so far as to experiment with her technique in my April Journal Page. Not nearly as clever as her artwork but an interesting concept I wanted to try. As the Quilt Museum remarks – her quilts are based on spatial illusions which I am very fond of and am trying out in my Anamorphic quilts. Mine are more trick the eye illusions whereas Libby’s work is 3-dimensional. But we both love fooling the viewers perceptions. Sadly, Libby suffered a devastating aneurysm and stroke which she is still recovering from and I am delighted the Quilt Museum are honouring her work with this lovely exhibition entitled ‘Joy’. The exhibition is on until October 17th, 2017. It’s time for the National Quilt Museum’s 2017 Quilts for Quilting Campaign to begin. The Quilts for Quilting Campaign is one of The National Quilt Museum’s largest and most important fundraisers. Last year over 500 quilt enthusiasts participated. We hope that you will participate this year and help the Museum achieve its fundraising goals. How it works? The program is simple and everyone can participate. To get involved simply donate a full size quilt or miniature quilt to the Museum for fundraising purposes. The quilt can be a new creation or an antique and it can be any size. Most donated quilts will be a part of one of our three annual auctions. In a few cases they are held to be used in later events. The Museum is a 501(c)3 nonprofit organization so all donations are tax deductible as allowed by law. The Museum is currently in its 6th consecutive year of growth. This is only possible do to the generosity of the people that fund our efforts. The dollars raised from this program and others have helped us expand several programs and diversify promotional efforts. 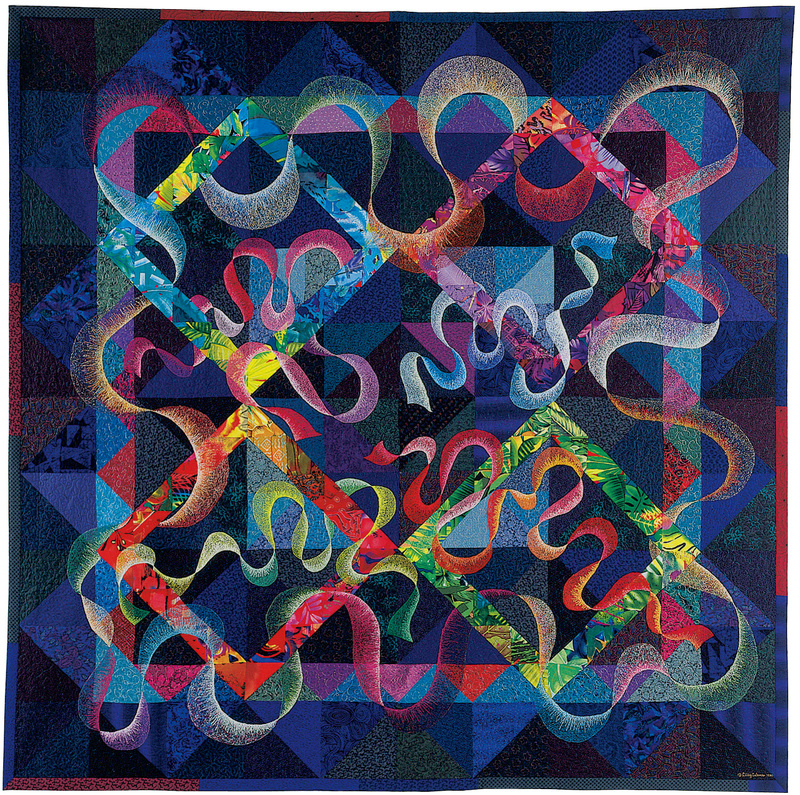 Ultimately, the contributions of people passionate about quilting have led to thousands more people experiencing the work of today’s quilting community through educational programs, in-facility exhibits, travelling exhibits, and other programs. In addition to helping the Museum, each contributor will receive a free gift. Please write “Attn: Q for Q” on the box. Please include your name, address, and contact information so that we may send you a receipt and a gift. There is no limit to the number of quilts you may donate to the campaign. We welcome multiple donations. If possible, please donate by April 1, 2017. If you have any questions about this program please contact Frank Bennett at fbennett@quiltmuseum.org or 270-442-8856. And if you want to just plain donate money go to their Donate page.